Woodland edges and openings, meadows, fields, roadsides, fencerows. Rocky areas. Light shade to partial sun. 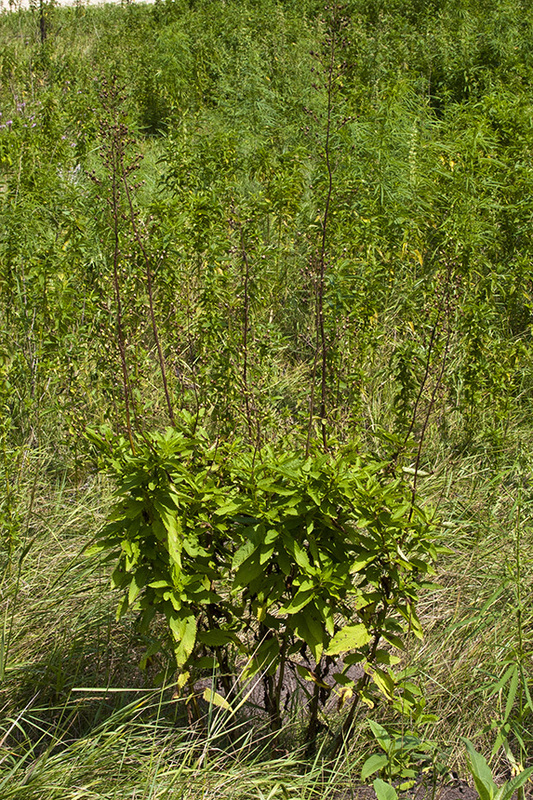 This is a 36″ to 78″ tall, erect, perennial forb that rises on a cluster of stems from a taproot. 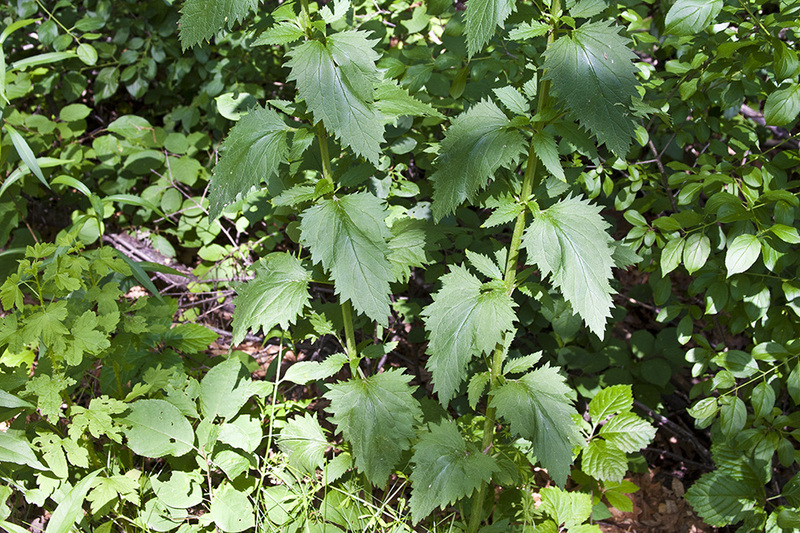 It is a large, conspicuous plant with small, inconspicuous flowers. 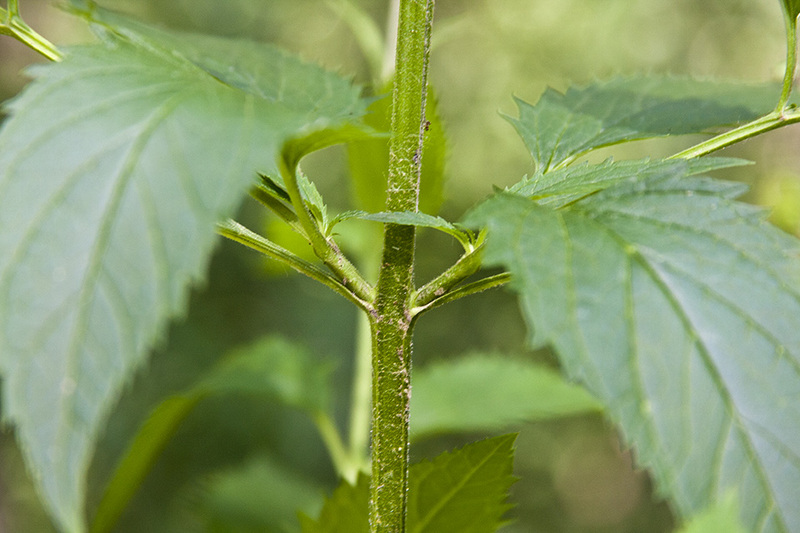 The stems are erect, usually unbranched, and square, with flat or slightly grooved sides between the angles. 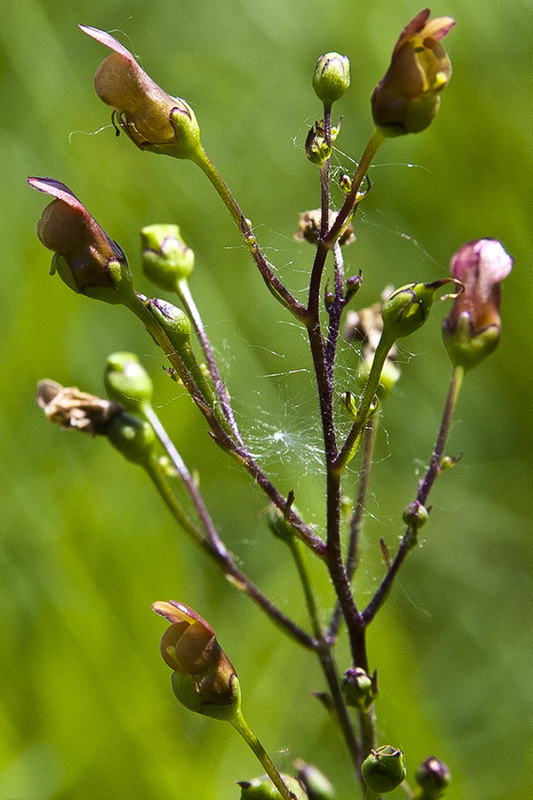 They are slightly hairy when young, becoming hairless below the inflorescence with age. 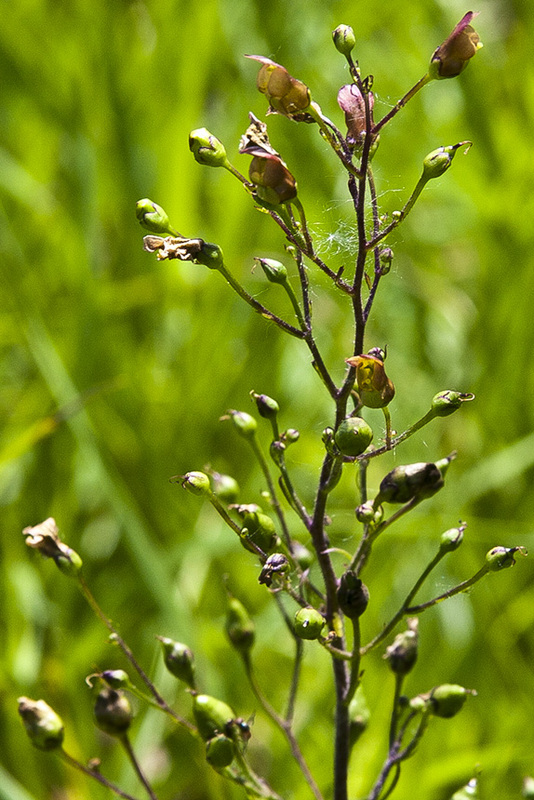 It is sticky and sparsely to moderately covered with minute glands within the inflorescence. 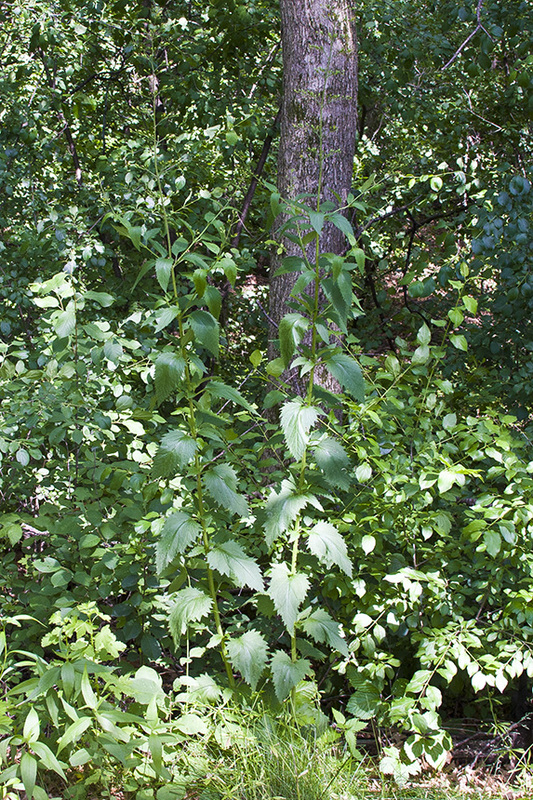 The leaves are opposite and on ⅝″ to 1¼″ long leaf stalks (petioles). 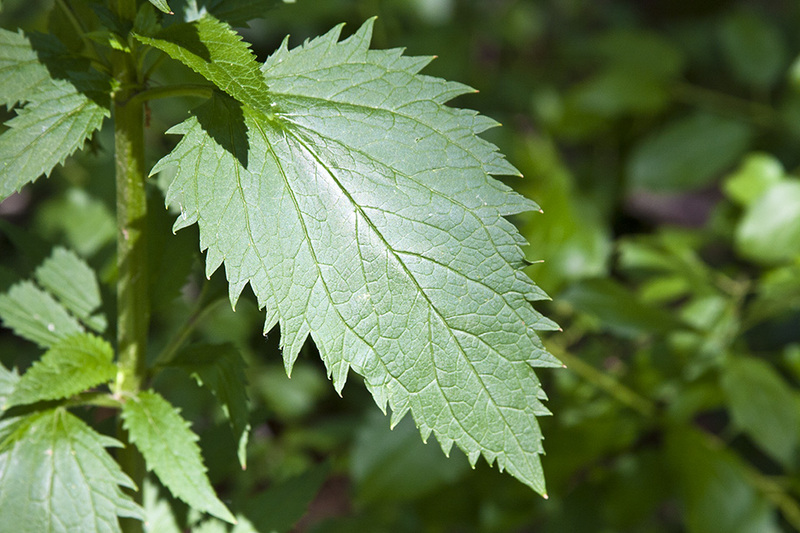 The petiole is rarely one-third as long as the leaf blade. They are lance-shaped to egg-shaped, 3″ to 8″ long, and 1⅜″ to 3″ wide, becoming somewhat smaller as they ascend the stem. 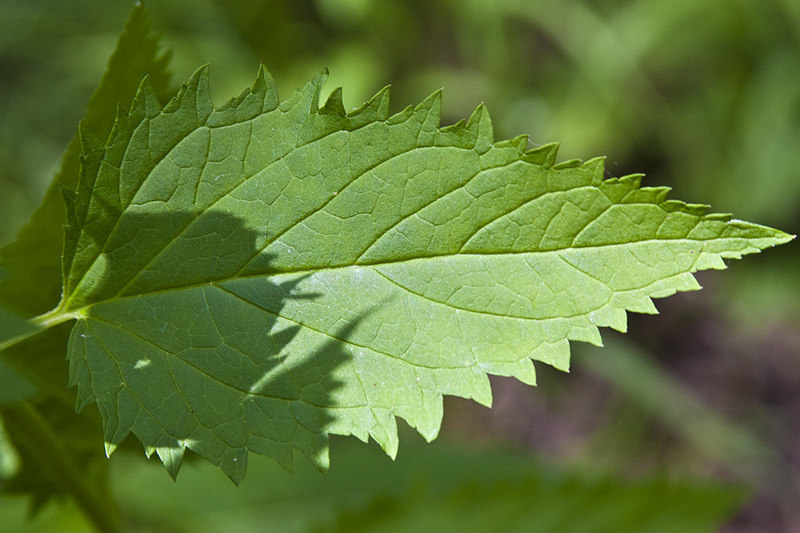 The leaf blade may be heart-shaped, broadly rounded, wedge-shaped, or squared off near the base, and is long-tapered to the petiole. It tapers to a sharp point at the tip with concave sides along the tip. The upper and lower surfaces are hairless. 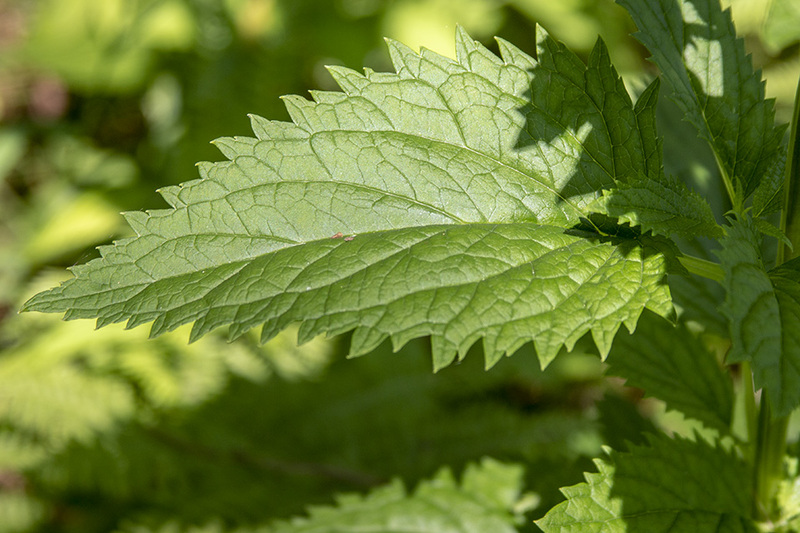 The margins are toothed with sharp, forward pointing teeth. The inflorescence is a tight, narrow, cylindrical, branched array (panicle) at the end of the stem. 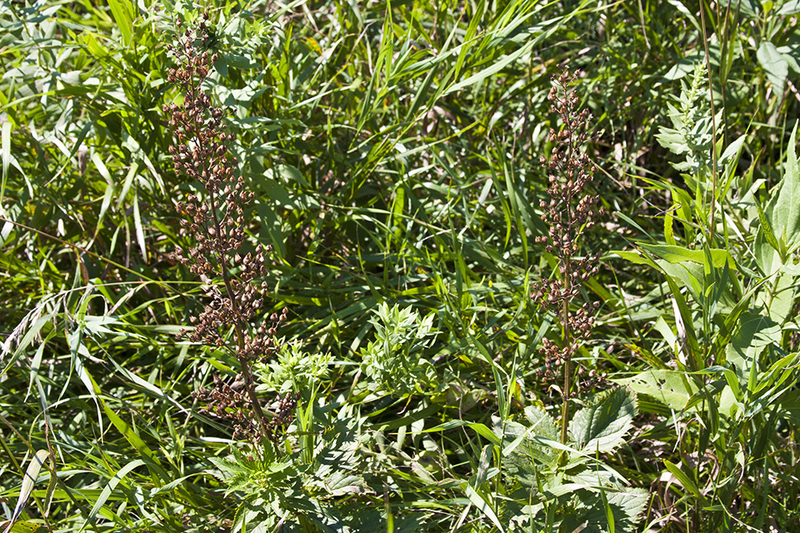 The panicle is 4″ to 12″ long and rarely more than 3″ wide. 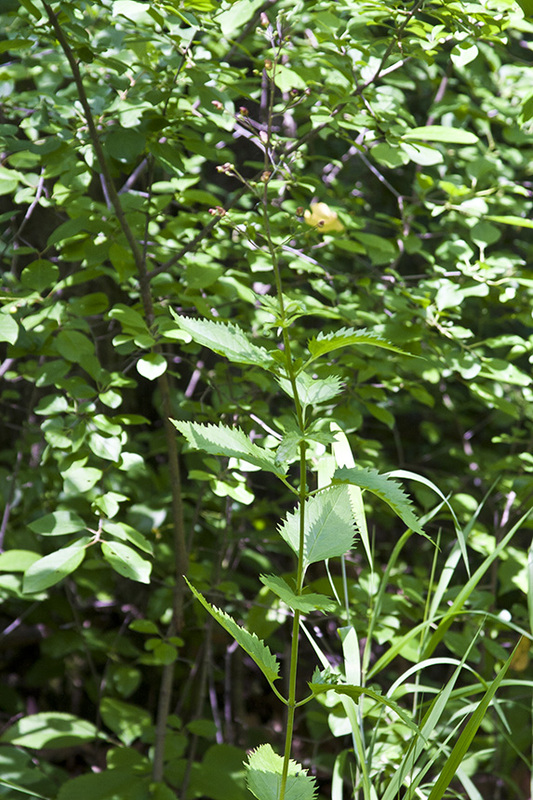 The branches of the panicle are widely spaced, opposite near the base and alternate at the top. 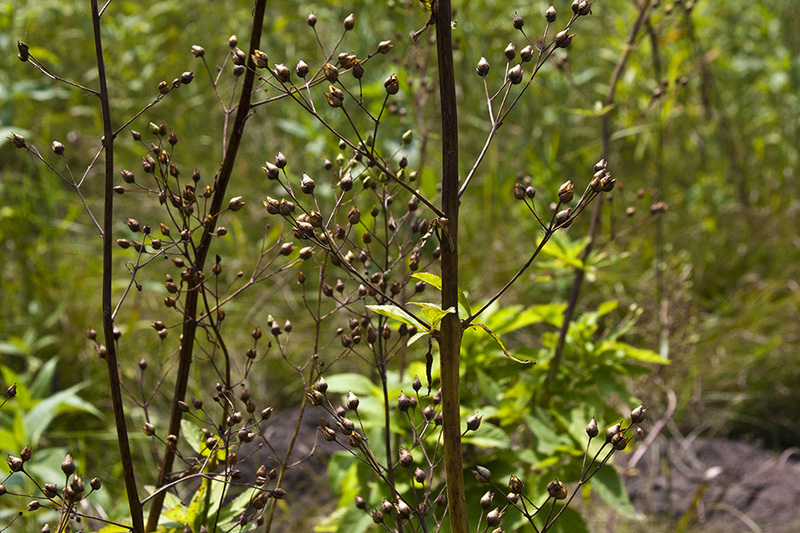 Each branch of the panicle is subtended by a narrowly lance-shaped, leaf-like appendage (bract) and terminates in a branched cluster (cyme) of several flowers. 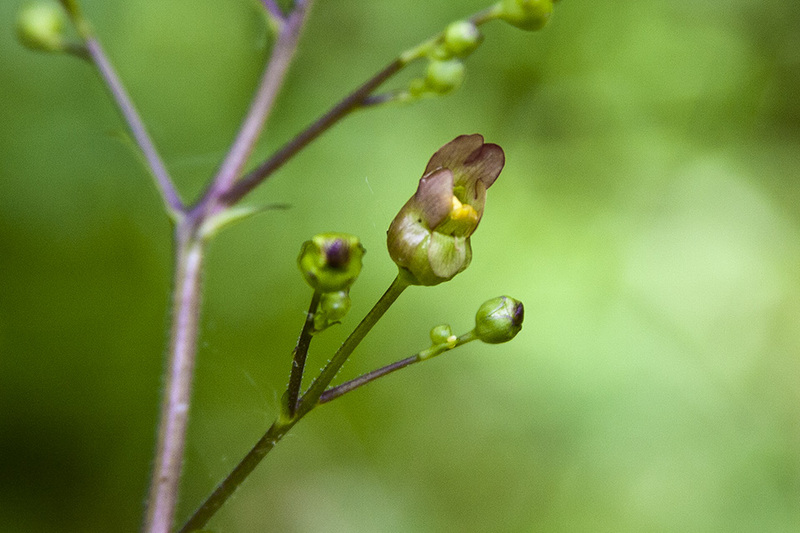 The flowers are ¼″ to ⅜″ long and tube-shaped. 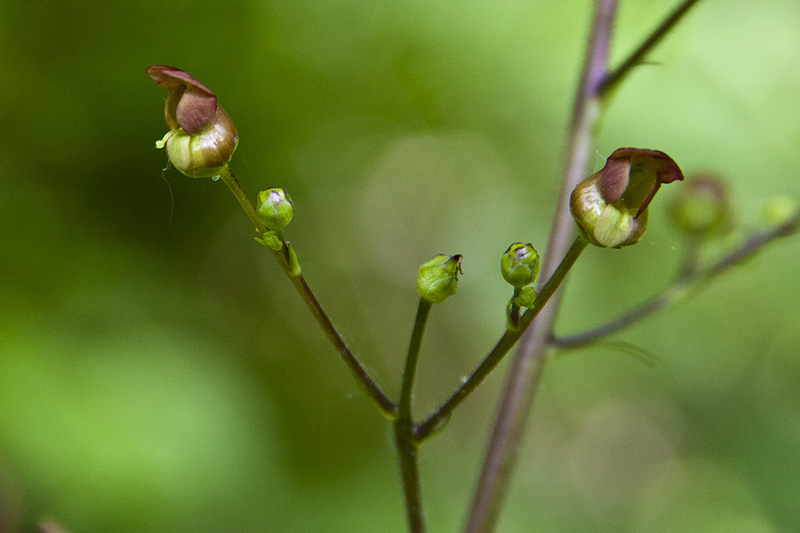 There are 5 sepals, 5 petals, 4 fertile stamens, 1 sterile stamen (staminode), and 1 style. 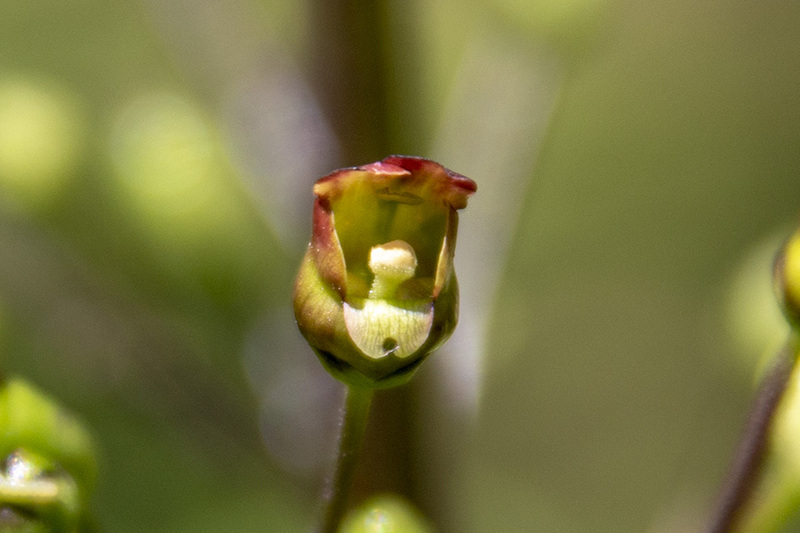 The sepals are dull green and fused at the base into a deeply saucer-shaped calyx tube, then separated near the middle into 5 broad, rounded, egg-shaped, 1 ⁄16″ to ⅛″ long lobes. 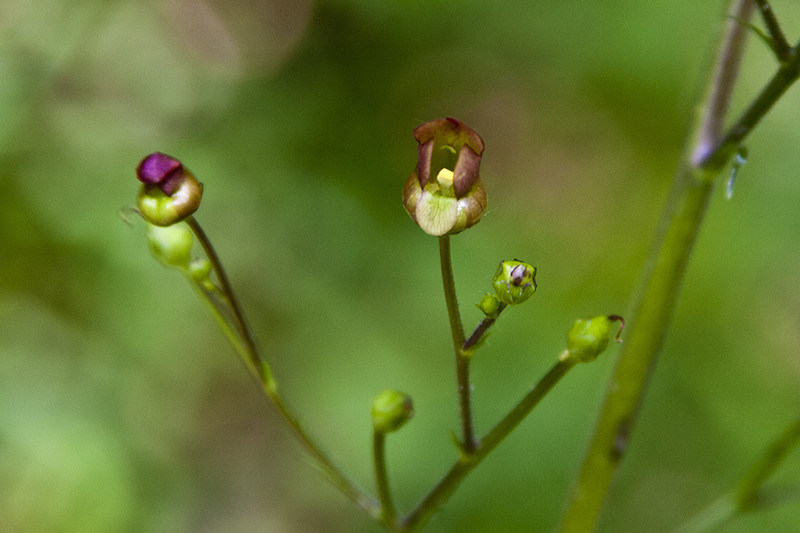 The 5 petals are fused at the base into a wide corolla tube then separated into 2 lips. The upper lip is divided into two lobes and projects forward, functioning as a hood. It is mostly dull reddish-brown on the outside, yellow at the base. The lower lip is divided into 3 lobes. The two lateral lobes are vertically oriented, mostly dull reddish-brown on the outside, yellow at the base. The lower lobe is green and is folded downward. 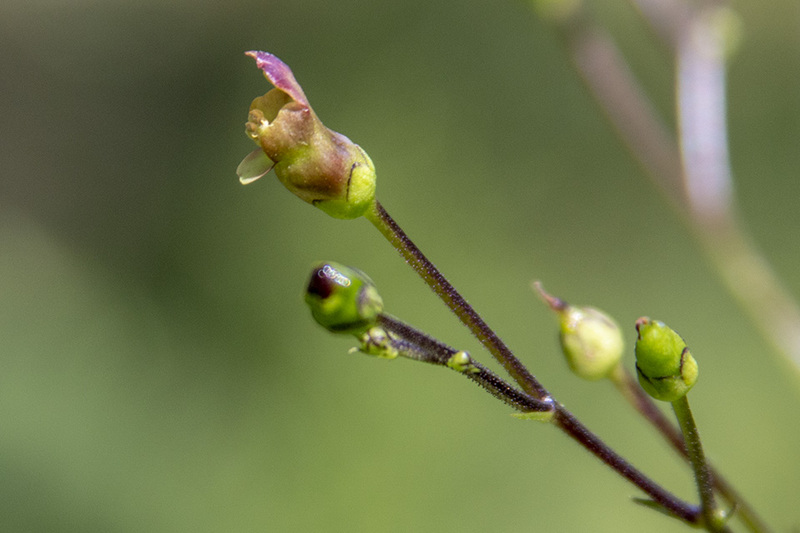 The 4 fertile stamens have white anthers, are paired, and do not extend beyond the corolla tube. 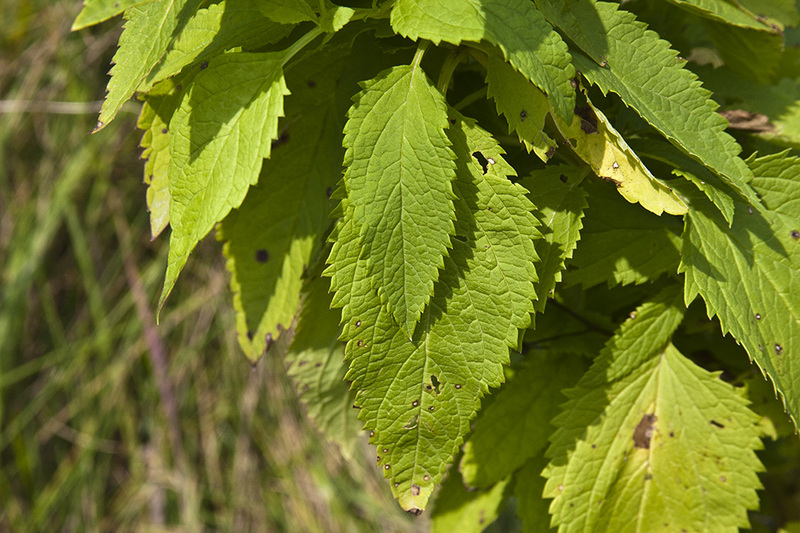 The infertile staminode is fan-shaped, often wider than long, roundly dilated at the tip, and yellowish-green. 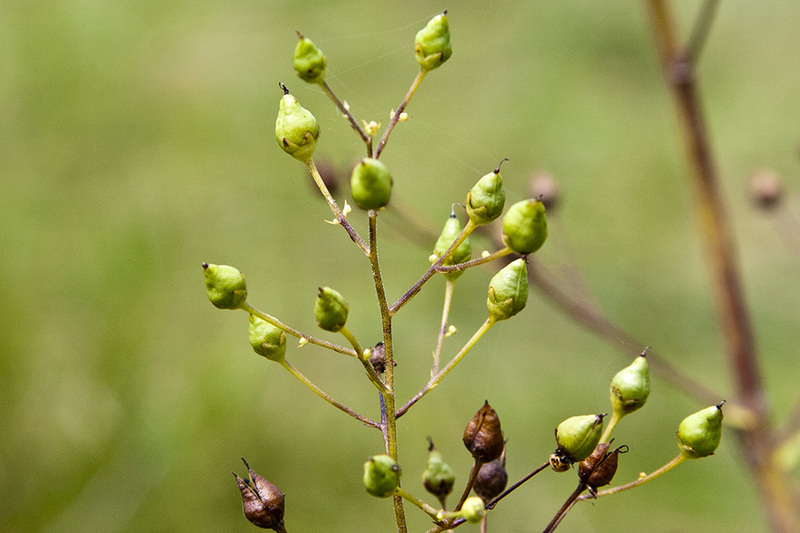 The fruit is a dull brown, ¼″ to ⅜″ long, more or less egg-shaped capsule. 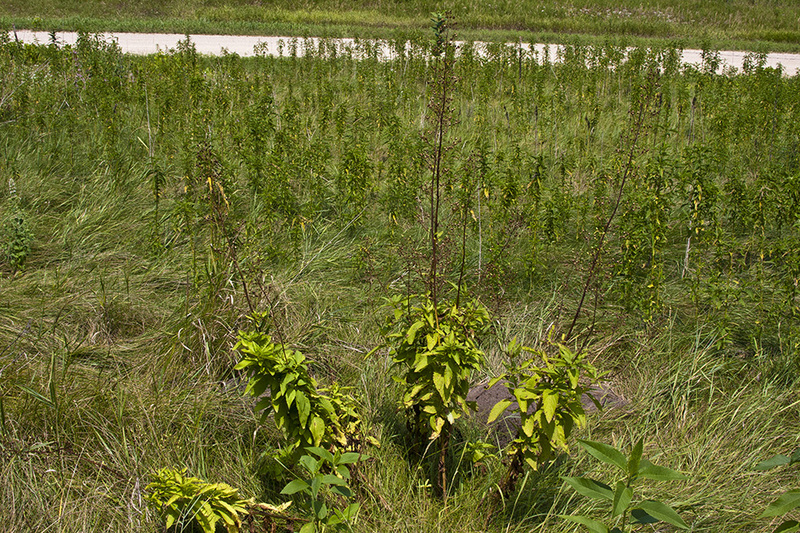 Late figwort (Scrophularia marilandica) stems of older plants are rounded and prominently grooved between the angles. 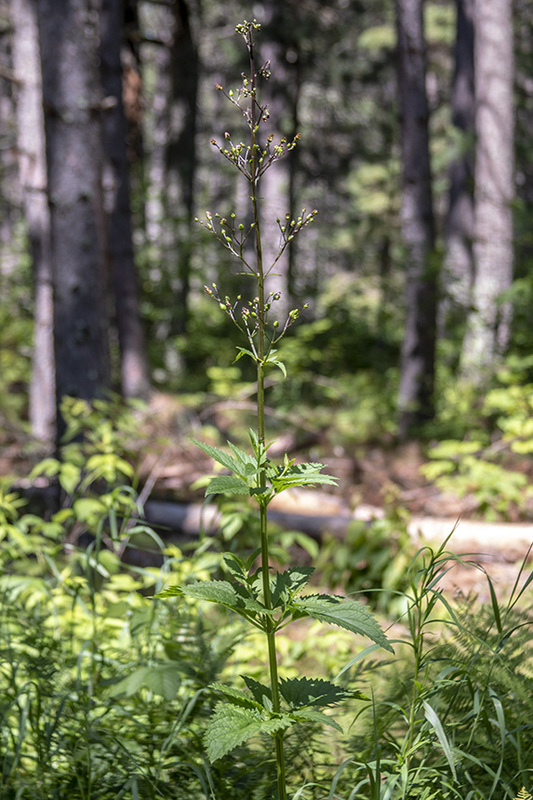 The inflorescence is loose, pyramid-shaped, irregularly branched, and up to 6″ wide. The sterile staminode is purple, not yellow.